Orono's Patent and Trademark Resource Center (PTRC) is a public service of the University of Maine's Fogler Library in partnership with the U.S. Patent and Trademark Office (USPTO). For assistance call 207.581.1697 or email rachel.a.knapp@maine.edu. We cannot conduct patent and trademark searches for you. The PTRC Orono Office is open Monday - Friday 8:00 am - 5:00 pm. Check the library hours homepage for holiday closures. It is highly recommended that you call in advance to make an appointment as there is no guarantee that the PTRC representative will be onsite. Call 207.581.1697 or email rachel.a.knapp@maine.edu. Contact the Parking Office at 207.581.4047 for information about temporary parking passes. Check the online campus map for parking locations. Take I-95 to Exit 193 (Formerly Exit 51). Turn right onto Stillwater Ave. Follow Stillwater Ave. for 1.5 miles. At the 4th traffic light from I-95, turn right onto College Ave. Follow College Ave. for 1.5 miles. The University of Maine campus is on the left. Do not take the first entrance at the Alfond Arena. Fogler Library is closest to the second entrance, opposite the steam plant. Turn left into campus and stay to the right at the 'Y' in the road. At the first stop sign turn left. Note: there are 2 roads to the left here. The road that is the sharper left has visitor street parking. The other road is closer to the library and has some visitor parking on the right. The Fogler Library is the 3 story building at the end of the open 'mall' or 'lawn' area near these parking areas. Turn left onto Stillwater Ave. If you live in southern Maine, the PTRC library in Boston, MA may be closer. Anyone may use a PTRC even if they are not a resident of the state or city in which it is located. A complete list of PTRCs is available organized by state. The University of Maine has its own policies regarding intellectual property developed at the University. The Orono PTRC welcomes you to contact us for consultation, but we withhold the right to refer you to other departments on campus when appropriate. We encourage all UMaine researchers—faculty, staff and students—to review the University of Maine System Statement of Policy Governing Patents and Copyrights prior to contacting us. The site at http://www.ptrc.us/ is a scam. The website http://www.ptrc.us/ mimics the USPTO website, uses a “.us” upper level domain, and is replete with typos. The same source has also reportedly sent out mailings. 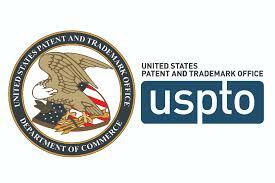 They also use the acronym “PTRC” and the name “Patent and Trademark Resource Center, LLC."